LCI Barcelona is a member of the LCI Education, a network with 23 higher education campuses in 5 different continents. The LCI Education was originated in LaSalle College Montréal and was founded in 1959. Today the network is training each year more than 10,000 students worldwide, being one of the best School of Design in Spain. 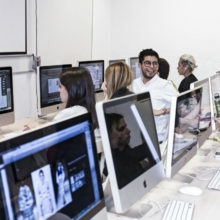 LCI Barcelona, a renowned Fashion & Design school, teaches and trains its students with excellence and combining their global vision, enabling them to face current challenges of the industry. 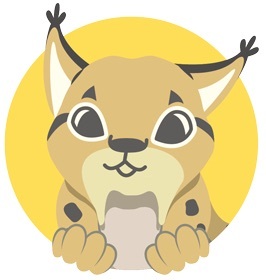 The School’s programs are designed for students to integrate in a practical and dynamic way, combining the latest theoretical concepts, techniques and processes as well as trends that allow them to bring innovation and added value into the area if their specialty. LCI Barcelona is collaborating with the most important companies in the fashion industry. This School of Design in Barcelona will let you access jobs worldwide, you could submit your CV and your projects to international recruiters. The school has available a searching service and has agreements with companies for curricular internships, students in their last year of studies can apply for professional internships. LCI Barcelona also helps with job placements and gives complete orientation on how to construct a competitive CV. Programmes aimed at professionals who wish to specialize in a specific area of design. These programs have been created to train students specific areas of Product, Fashion, Interior and Graphic. These courses don’t require previous university studies (only available in Spanish). LCI Barcelona offers a virtual platform where you can upload your projects, and check your result and be in contact with your colleagues and professors. Classrooms and laboratories with access to the most up-to-date software (AutoCAD, Cad2D, 3D CAD, Rhinoceros, and more), workshops and TecnoFab, a layout and prototyping workshop equipped with a 3D printer and a laser cutting machine, library, showroom, etc. LCI Barcelona is located in the prestigious neighborhood of San Gervasi, easy to access by many bus and metro lines, it's surrounded by shops, bars, restaurants, supermarkets, cafes and gyms. 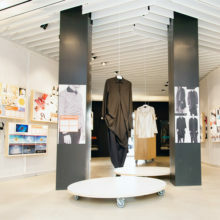 This School of Design in Barcelona is inside a two-floor building with 20 classrooms specifically created to develop to all the school's design majors: Fashion Design, Interior Design, Graphic Design and Product Design. Bachelor’s Degrees starts in September and Master’s Degrees in October, however there are some exceptions. Note: Please note that every Bachelor and Master Degrees have different prices. The academic fees shown above correspond to one academic year. Contact us here in order to get the exact cost of the Degree you are interested in. The Bachelor’s Degree starts in September and the Master’s Degree in October. Tthe Bachelor’s Degree starts in September and the Master’s Degree in October. The Bachelor’s Degrees starts in September and the Master’s Degree in October.